A jury began deliberations in the trial of two men accused of killing a Border Patrol agent during a shootout in the Arizona desert in 2010, The Star Tribune reports. The case wrapped up Wednesday in a federal court in Tucson. 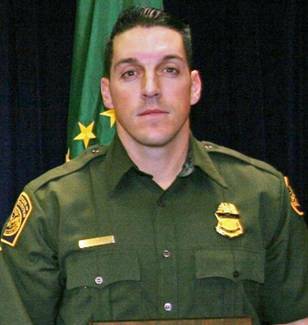 Border Patrol Agent Brian Terry encountered the robbers of drug dealers and was killed in a shootout. Prosecutors charged Jesus Leonel Sanchez-Meza, also known as Lionel Portillo-Meza, and Ivan Soto-Barraza in the killing. Prosecutor Todd Wallace Robinson told jurors that evidence, which includes DNA, fingerprints and confessions, proves the defendants are guilty of all nine counts, which includes first-degree murder. “It doesn’t prove beyond a reasonable doubt. It proves it beyond any doubt whatsoever,” Robinson said in a closing statement.